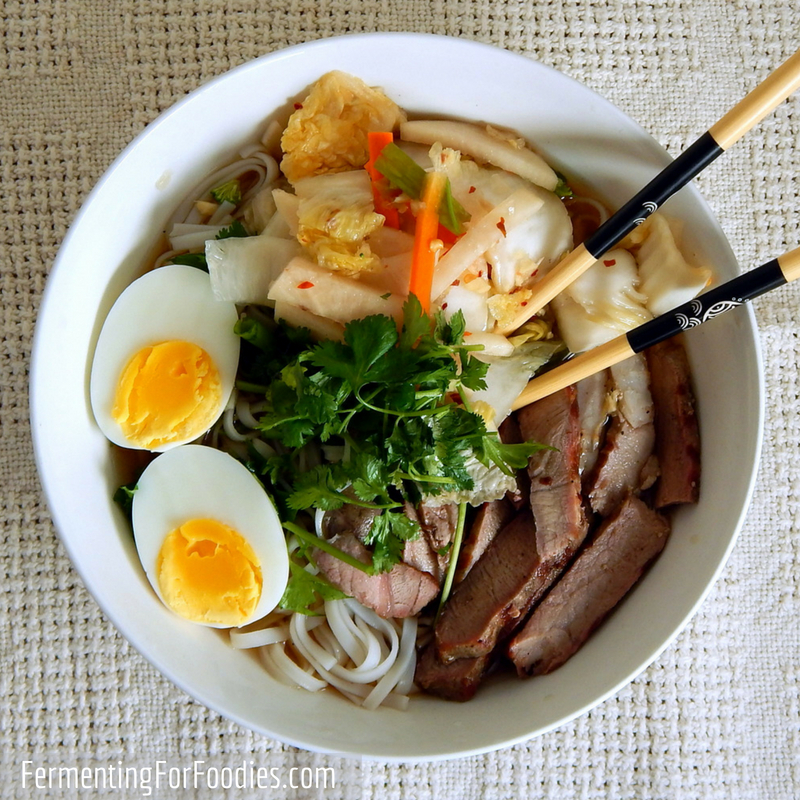 Fermentation is the ultimate form of slow cooking. In our high speed culture it’s hard to devote time and energy to something that can take weeks or even months to complete. Yet, fermented foods are becoming more popular. 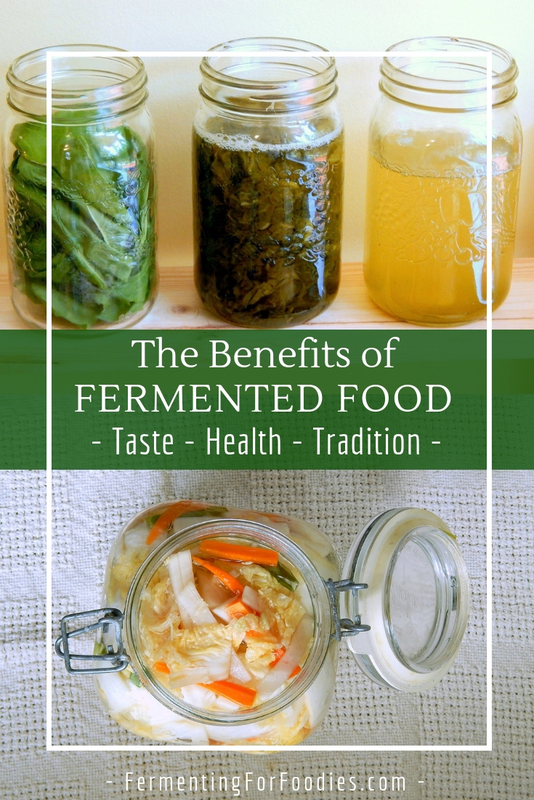 Here are the top FIVE benefits of eating fermented foods. 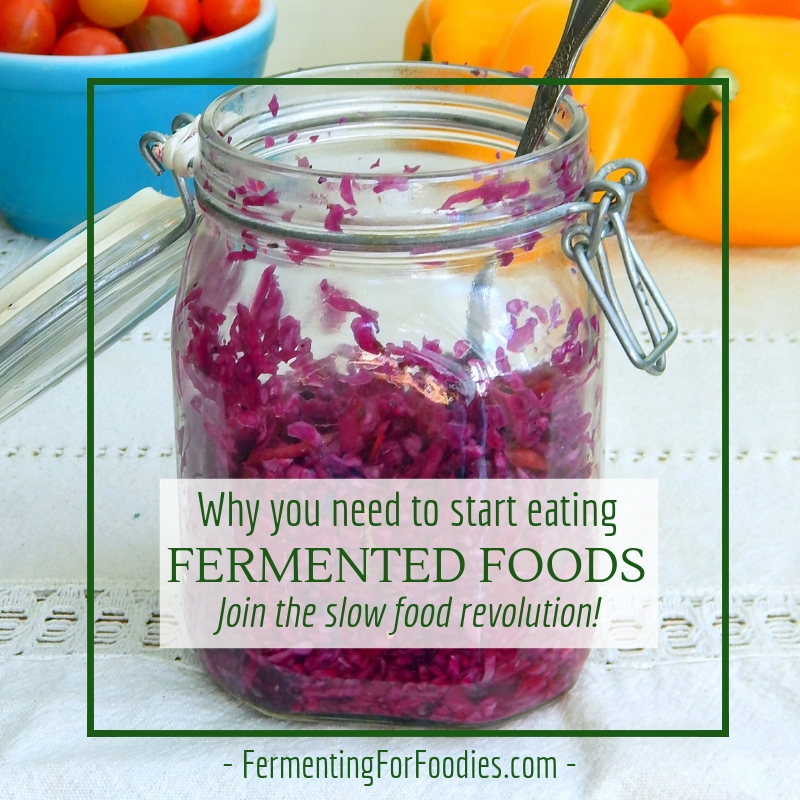 Fermented foods are packed full of flavour. They add a savoury depth to everything from soup to salad. Before there was refrigeration, people cultured food to prevent it from going off. It’s still a low cost way to preserve seasonal foods, especially if you are lucky enough to have a cold room. Even without cold storage, making pickles, sauerkraut and hot sauce are a great way to preserve your garden vegetables. Fermenting milk is handy when you don’t have access to refrigeration, like when you’re traveling or camping. That’s why I always travel with my milk kefir grains. Fermenting foods can help those with food sensitivities. For example, people with lactose intolerance are more likely to be able to tolerate fermented dairy products. The longer the dairy is fermented, the less lactose it has, so well-fermented yogurt and kefir are a delicious source of calcium. Grains also benefit from fermentation. A lot of people feel bloated and full after eating bread, pasta and other grain-heavy foods. Pre-fermenting grains breaks down a lot of the complex carbs and starches making them easier to digest. If grains leave you feeling heavy, try prefermenting with sourdough or buttermilk. Our lives are so full of text, emails, work, fun and chores. We are living in a time of Everythingism, which leaves us with very little time for actual relaxation. Fermentation is a slow process that requires us to take a break from all the fast-paced activity. Catching a sourdough culture. Watching your wine bubble. It’s part of the daily rhythms of culturing food. While the individual tasks don’t take much time, they do provide a long-term enjoyment. Trust me. Opening your first jar of homemade sauerkraut is so much more satisfying then simply dashing off to the store to buy some. Getting a good dose of probiotics is definitely the most popular reason for eating fermented foods. Developing a strong flora is the best way to ensure good health. Bacteria and yeasts are all over our body, helping us to digest food, protecting our skin from the sun, and helping our immune system fight off pathogens. All it takes is one dose of antibiotics to mess up with this system. Of course, you could buy a good probiotic supplement, but eating fermented foods is cheaper and tastier. 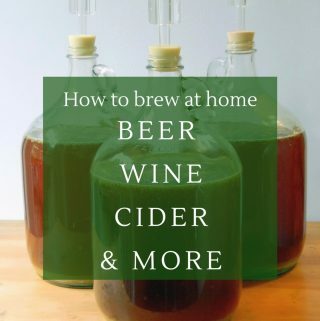 Best of all, fermenting in your kitchen will improve the natural flora within your home. 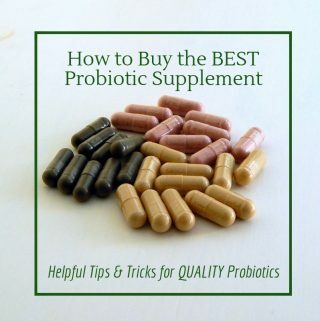 It’s the best way to get a dose of probiotics on your skin and in your lungs. Historically fermented foods were part of the way of life and would have been eaten daily. Now we live in a world where everything is pasteurized and antibiotics are everywhere. Who couldn’t use a little more love from some gut-friendly lacto-bacteria? 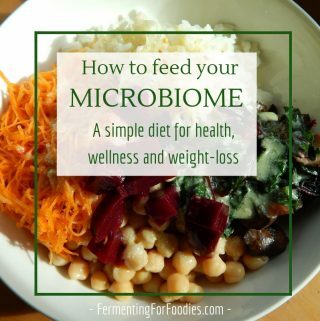 Previous Post: « Do probiotics survive digestion?